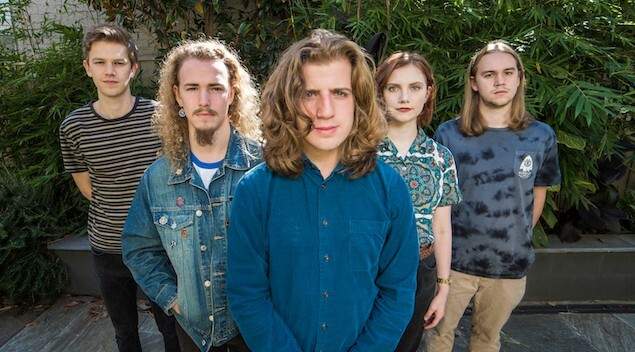 Melbourne based indie rockers Reel Tapes have just released their brand new single ‘Deep Space’. Drawing from a variety of influences such as Wavves, Jack White, The Doors and Rory Gallagher, it is clear Reel Tapes are confident in the signature sound they have created since forming in 2016. Since their beginnings, they have spent the past couple of years garnering a dedicated following whilst honing their unique sonic and playing countless shows around Melbourne including a performance at Sydney Road Music Festival alongside Wil Wagner of The Smith Street Band and Camp Cope. Check out their new single below. Fresh, fun riffs and pretty much has everything you need for a drive down the coast. We love! If you like what you hear, they are also launching the track with a show at Bar Open in Melbourne on July 21st.